Burlington International Airport (IATA: BTV, ICAO: KBTV, FAA LID: BTV) is a joint-use civil-military airport in Chittenden County, Vermont, United States. It is owned by the City of Burlington, Vermont's most populous municipality. The airport is located in South Burlington, three nautical miles (6 km) east of Burlington's central business district. Federal Aviation Administration records show the airport had 588,504 passenger boardings (enplanements) in calendar year 2016, up from 581,143 enplanements in 2015, an increase of 1.3% . Passenger traffic was higher in the late 2000s. The airport had 640,790 passenger boardings (enplanements) in calendar year 2010, a decrease of 8.5% from the 700,592 enplanements in 2009. This airport is included in the FAA's National Plan of Integrated Airport Systems for 2011–2015, which categorized it as a primary commercial service airport (more than 10,000 enplanements per year). The airport serves as the base of the 158th Fighter Wing, Vermont Air National Guard and an Army Aviation Support Facility (AASF) of the Vermont Army National Guard and the Vermont State Guard. On May 22, 1934, at the airport, Amelia Earhart was presented with the keys to the city of Burlington. With the onset of the Second World War, the United States government created a Defense Zone extending inland 150 miles (240 km) from the coastline, where private aircraft were restricted from operating. Burlington Municipal Airport was located approximately 3 miles (4.8 km) outside of the Defense Zone, allowing it to conduct pilot training both locally and from other airports located within the restricted zone, one such example being Boston's Logan Airport. Due to increased demand, the Burlington Municipal Airport was noted as being the busiest airport in the world on both August 14, 1942 and February 11, 1943, with 662 and 793 landings respectively. On February 24, 1969, the Board of Aldermen voted to change the airport's title from "municipal" to "international" as a means of re-branding the airport and steering it away from the perceptions of it being a small, community-based facility. In 1970, Mohawk Airlines introduced the first jet service to the airport. On May 11, 1971, Burlington voters approved a $1.25 Million bond for a new 40,000-sq/ft terminal. This terminal opened October 7, 1973. The airport set a local record in July 2008 when 759,154 passengers flew from Burlington, the first time the figure has crossed 700,000. BTV enplaned over 759,000 people in 2008, a 7.3% increase from 2007. However, FAA Data from 2015 show a decrease to 581,143 total enplaned, a significant decrease given stronger regional competition due to the increasing popularity of the recently constructed and renovated Plattsburgh International Airport in Plattsburgh, NY (just over 30 miles, 48 km away via ferry). Total Plattsburgh Enplaned, in fact, for the 2015 Year reached 131,600. Plattsburgh demand is driven by increased demand from Montreal, Quebec. 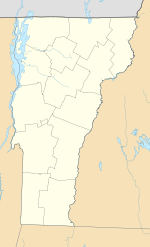 At approximately 80 to 85% of total yearly demand, Plattsburgh's airport markets itself as Montreal's US Airport, given it is closer to Montreal's South Shore residents than Montreal-Pierre Elliott Trudeau International Airport, even with a 10 to 15 minute border wait time. Moreover, Plattsburgh International Airport has bilingual employees on staff, speaking French and English, a website in both languages, as well as an airport with prominent French and English signage, similar to that of Montreal. This is similar to the practices required by Federal Law in Canada, as per the Canadian Charter. Burlington International Airport serves its metropolitan area, which contained over 206,000 residents as of 2006 U.S. Census estimates. Due to the relatively small size of the market, airlines mostly fly regional airliners on their Burlington routes. Among these are Bombardier CRJ-200, CRJ-700, and CRJ-900 and Embraer ERJ-145 and ERJ-175 regional jets operated by most of the major carriers as well as turboprop powered Bombardier Q400 aircraft flown seasonally by Porter Airlines. JetBlue Airways, United Airlines, and Delta Air Lines notably fly some of the only daily flights using mainline aircraft. Currently the largest scheduled passenger planes to fly out of Burlington are Airbus A320 and Boeing 737 flown by United Airlines, Boeing 717s flown by Delta Air Lines, and Embraer E-190s flown year-round by JetBlue. Denver, Colorado is the farthest destination served by any airline out of BTV. In 2008, Big Sky Airlines stopped flying the Boston route. Management has been searching for a replacement for this important route, Cape Air has shown considerable interest in establishing this route using their Cessna 402s, currently the closest Boston-served destination by Cape Air to Burlington is the city of Rutland. More recently the Alaska-based airline Penair has also shown some interest in Boston-Burlington Flights but is currently utilizing the nearby Plattsburgh International Airport in New York for this route. The airport has used natural resources such as marble and granite, and maple for interior decoration, intended to give the airport a "Vermont Feel". In 2009, the airport had fifteen gates serving seven airlines. On February 3, 2010, it was announced that AirTran Airways would not be returning to Burlington. Service started in early 2009 on Boeing 717 aircraft operating 55-minute flights from Baltimore, but after only 6 months AirTran demoted BTV to seasonal service, operating only during the summer months. AirTran planned on resuming service in the spring of 2010, but due to various reasons not specified they did not. AirTran service lasted for 8 months in 2009. Allegiant Air ended service from BTV in March 2017. In 2010, a city-owned cable provider was unable to pay the city of Burlington $17 million it owed. As a result, Moody's downrated the debt for the city. Moody's also downrated the credit rating for the airport, as well. Although voters approved a $21.5 million bond for airport expansion, this downgrade made borrowing the money too expensive. The airport therefore borrowed $7.5 million from the city for a $14.5 million garage expansion. In June 2011, the city asked for the money back. Burlington International Airport covers an area of 942 acres (381 ha) at an elevation of 335 feet (102 m) above mean sea level. It has two runways: 15/33 is 8,319 by 150 feet (2,536 × 46 m) with an asphalt and concrete surface; 1/19 is 4,112 by 75 feet (1,253 × 23 m) with an asphalt surface. There are two fixed-base operators at the airport. Each offers services such as de-icing, hangars and customs service for international traffic. As a Burlington-owned facility, the airport purchases its electricity from the city-owned utility. In 2009, the Airport Authority sought $45 million for an expansion. If approved by Burlington city voters; it would provide 1,400 additional parking space to add onto the current 3-story, 2,100 spaces garage. It would hold 3,500 cars within 5 stories, with a completion date of late 2010 or early 2011. It was later completed in late 2011 though the airport had to remove half of the proposed parking spaces, leaving the parking lot looking like a backwards L if you look at it from the terminal. Daily aircraft operations average 193 per day: 57% general aviation, 20% air taxi, 17% scheduled commercial, and 6% military. At this time there are 94 aircraft based at Burlington International. The ANG ramp now supporting the Green Mountain Boys squadron. The airport hosts two military installations. The first is Burlington Air National Guard Base and the 158th Fighter Wing (158 FW) based there, an Air Combat Command (ACC)-gained unit of the Vermont Air National Guard, flying the F-16C Fighting Falcon. The 158 FW consists of approximately 1,000 Air National Guard personnel, both full-time Active Guard and Reserve (AGR) and Air Reserve Technician (ART) personnel and traditional part-time Air National Guardsmen. The 158 FW is now slated to receive the F-35 Lightning II stealth multirole fighter to replace its F-16 aircraft. The second installation is an Army Aviation Support Facility (AASF) of the Vermont Army National Guard where the 1st Battalion, 103d Aviation Regiment and the 86th Medical Company (Air Ambulance) is based. The airport is the muster point for the Air Wing of the Vermont State Guard. All domestic destinations from Burlington International Airport (BTV). Burlington International Airport is one hour's drive to the Canada–United States border. About 40% of the airport's passengers come from Canada's second most populous province of Quebec. Both major commercial parcel carriers (UPS Airlines and FedEx Express) fly into BTV, providing service for much of northern Vermont. UPS uses Wiggins Airways to ferry packages between Burlington and larger cargo hubs. FedEx Express in fact operates the largest aircraft to frequently utilize Burlington International Airport. Cargo is flown in from the company's hub in Newark, New Jersey, via Syracuse or Portland, Maine, aboard medium ranged Boeing 757-200 aircraft (up until 2011 this was done by aging Boeing 727-200s before these aircraft were replaced by the newer, more versatile 757s). Upon arriving from Syracuse or Portland some of the cargo is unloaded from the 757 distributed to smaller, propeller-driven Cessna 208Bs operated by Wiggins Airways and flown to closer destinations such as Bangor and other destinations. UPS flies exclusive connection flights with aircraft from Wiggins Airways to airports in the Northeast with Cessna 208s and small jet aircraft. ^ a b c d e FAA Airport Master Record for BTV (Form 5010 PDF). Federal Aviation Administration. effective August 25, 2011. ^ "Primary, Non-primary Commercial Service, and General Aviation Airports (by State)" (PDF). Calendar Year 2016 Preliminary Enplanements by State. Federal Aviation Administration. June 30, 2017. Archived from the original (PDF, 189 KB) on July 15, 2017. Retrieved July 25, 2017. ^ "Primary, Non-primary Commercial Service, and General Aviation Airports (by State)" (PDF, 189 KB). CY 2010 Passenger Boarding and All-Cargo Data. Federal Aviation Administration. October 4, 2011. ^ "2011–2015 NPIAS Report, Appendix A" (PDF). 2011–2015 National Plan of Integrated Airport Systems. Federal Aviation Administration. October 4, 2010. Archived from the original (PDF, 2.03 MB) on September 27, 2012. ^ Brian, Searles (September 1, 2010). "Burlington International Airport Burlington, Vermont Airport Emergency Plan (AEP) Class I Airport". University of Vermont. ^ McLean, Dan (August 12, 2008). "Burlington's Airport Reports Record July". Burlington Free Press. ^ Levere, Jane L. (July 15, 2013). "Airports on the Border Make Room for Canadian Fliers" – via NYTimes.com. ^ Toolkit, Web Experience. "Understanding your language rights". www.ocol-clo.gc.ca. ^ "Allegiant Air to end Florida service from Burlington next year - VTDigger". November 28, 2016. ^ Briggs, John (August 10, 2010). "Burns Leaving Burlington Telecom". Burlington Free Press. Burlington, Vermont. pp. 1A, 5A. Archived from the original on August 20, 2010. Retrieved August 24, 2010. ^ "This Is Your Good Government at Work". Burlington Free Press. Burlington, Vermont. June 19, 2011. pp. 4B. ^ "Airport / FBO Information". FltPlan.com. Retrieved April 30, 2010. ^ "AirNav: KBTV - Burlington International Airport". www.airnav.com. ^ WCAX. "Frontier Airlines to offer direct Vermont-Orlando flights". ^ Davis, Mark (2015-08-26). "Taking Off: Plattsburgh Airport Is Drawing More Flights, Travelers". Seven Days. ^ RITA | BTS | Transtats. Transtats.bts.gov. Retrieved on May 30, 2017. Wikimedia Commons has media related to Burlington International Airport (Burlington, Vermont).